We feel that it is important that every child is treated equally; therefore, we invite all Looked After Children and Young People including those whose parents foster as they have gained remarkable insights to various life situations by virtue of their unique positions as members of the fostering household, we encourage the participation by these children and the youth to take part in the Art Competition and to be recognised for their specific contribution. Each year we select a 'theme' that reflects the Government's Agenda of 'Every Child Matters'. Previous themes include; Environment, Anti-Bullying, Health and Fitness, & The Olympics. 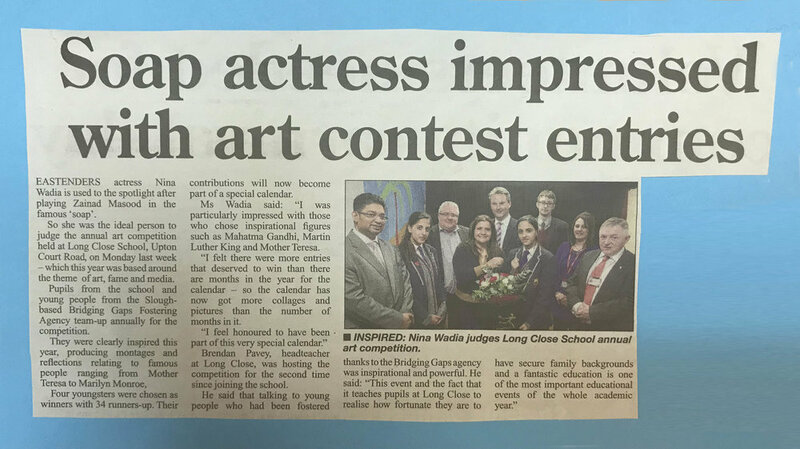 The themes are matched to well known successful personalities who act as a judge to select the winners, whose artwork is then incorporated into the calendars.